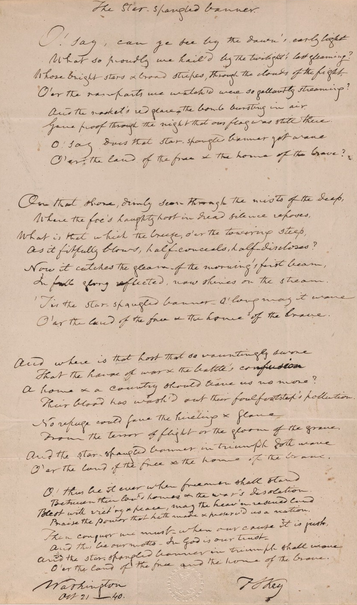 ➦In 1814...Francis Scott Key wrote the lyrics to the "Star-Spangled Banner," originally a poem known as "Defense of Fort McHenry," after witnessing the British bombardment of Fort McHenry, Maryland during the War of 1812. On March 3, 1931, the song became the official U.S. national anthem. 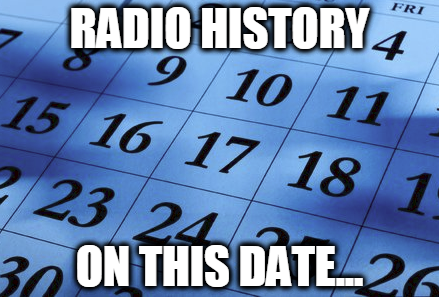 ➦In 1907...radio newsman & commentator Cecil Brown was born in New Brighton Pennsylvania. 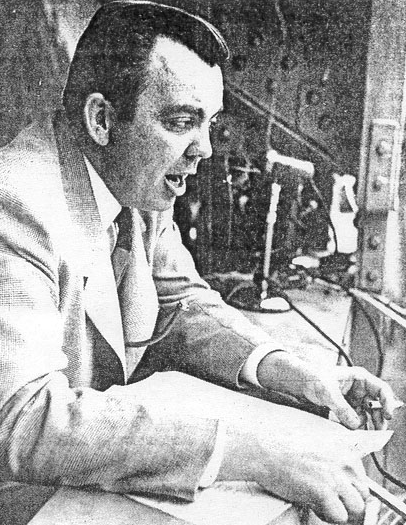 Some of his most important broadcasts were from the Pacific war front during the early days of World War II. One of the correspondents known as ‘Murrow’s Boys,’ he resigned from CBS in 1943, but continued his commentaries with Mutual, NBC and ABC. For his contributions to radio he has a star on the Hollywood Walk of Fame. He died Oct. 25 1987 at age 80. ➦In 1924...Yankee baseball player & later broadcaster Jerry Coleman was born in San Jose Calif. After calling the games of the Yankees, then the Angels, he was the play-by-play voice of the San Diego Padres for more than 30 years. In latter years he greatly reduced the number of games he worked, and switched to the analyst role. After injuries sustained in a fall at his home he died Jan. 5 2014 at age 89. ➦In 1927...singer Gene Austin waxed one of the first million sellers, My Blue Heaven, for Victor Records, which eventually was #1 for 13 straight weeks. Austin was a popular screen, radio & recording artist during the mid 1920's into the 1930's. He was known as "the voice of the south land" and a pioneer in the "crooning" style of singing. A jazz artist at heart, he was equally at home singing country ballads, blues and spirituals. His improvisational style apparent in his recordings, added a unique flavor to his interpretations. ➦In 1936...the NBC radio network presented John’s Other Wife for the first time. Actually, John’s other wife was not his wife at all, but his secretary. ➦In 1966…Actress Gertrude Berg, whose creation "The Goldbergs" aired on radio for 27 years (1929-1956) and television for two years (1949-1951), died of heart failure at the age of 67. ➦In 1968...on The Hot 100..The Rascals remained at the top spot with "People Got to Be Free", the fifth week at #1 for the song. Jeannie C. Riley was determined with "Harper Valley P.T.A. ", Jose Feliciano's version of "Light My Fire" peaked at #3 and Steppenwolf was down with "Born to Be Wild". The rest of the Top 10: "1,2,3, Red Light" by the sugary 1910 Fruitgum Company, Aretha Franklin and "The House That Jack Built", Marvin Gaye & Tammi Terrell edged up with "You're All I Need to Get By", Deep Purple was up strong (13-8) with "Hush", the Doors' former #1 "Hello, I Love You" and the Beatles made history with the highest debut ever (#10) for "Hey Jude". ➦In 1974…Actor (The Green Hornet Strikes Again!, The Spider Returns, Mandrake the Magician, The Spider's Web, Bowery Blitzkrieg, The Lone Wolf Meets a Lady, The Girl from Rio, Star Reporter)/ radio-TV game show host (Strike It Rich, Top Dollar, Beat The Odds, Who In The World, Spin To Win, Vox Pop) Warren Hull died of heart failure at age 71. 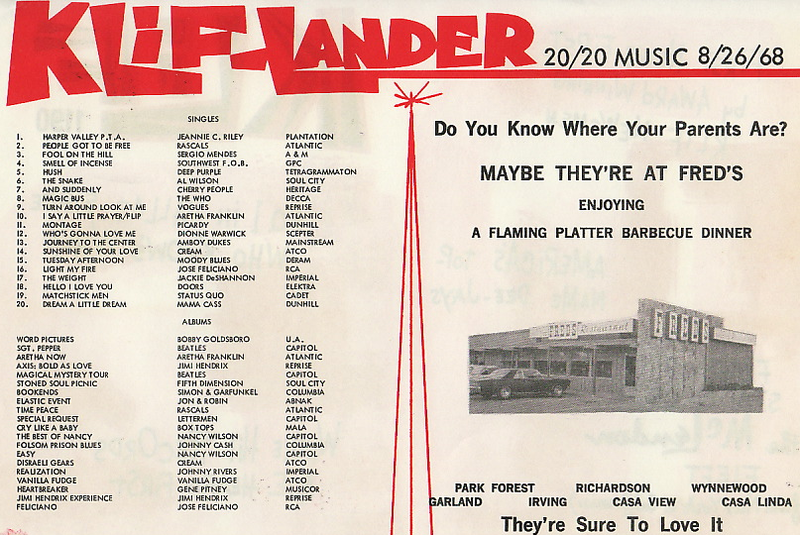 ➦In 1986...Radio pioneer/station owner (KLIF-AM and KNUS-FM in Dallas, KOST-Los Angeles, WYNR and WNUS-FM in Chicago, WWWW-FM in Detroit, KEEL-Shreveport, WAKY-Louisville, KABL-Oakland, KILT-Houston, KTSA-San Antonio, KELP-El Paso)/National Radio Hall of Famer Gordon McLendon, widely credited with perfecting the Top 40 radio format created by Todd Storz, died of cancer at age 65.